Induction. Dry pellets are held in a conical CO2 pressure chamber. Multiple turns/hour. 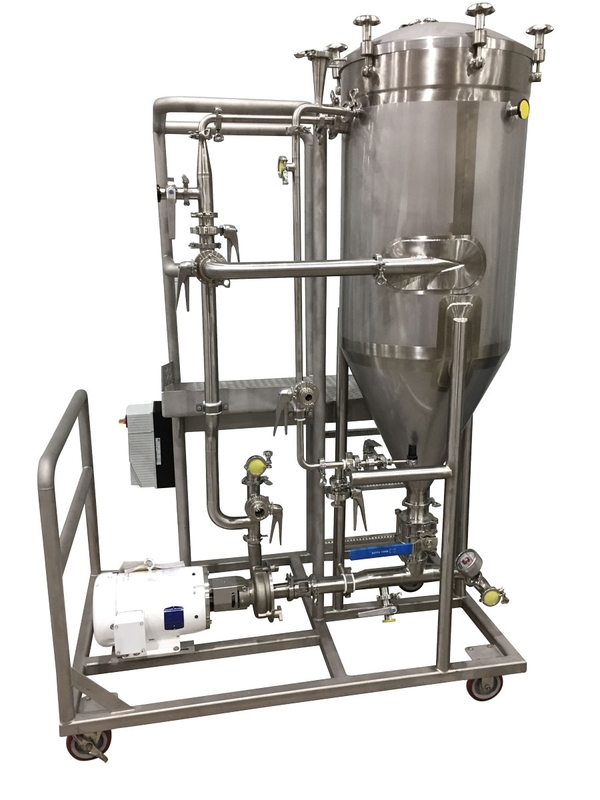 Fast recirculation for quick tank turnover. Contained system. No need to open to atmosphere. DO pickup will be single-digit PPB. Improved pellet breakdown. Immediate but gentle breakdown of pellets. Portable, plug-and-play unit. Complete with pump, VFD and 50’ cord to reach tight cellar spaces. Pressure-capable. Can be used with flow panels, outdoor cellars and process piping. Safe. Dry hopping done at floor-level. Dosing. Ability to dose purees, fining gel, powder, fruit pieces, cocoa nibs, coffee, sugar and more! Quicker start. High flow CO2 regulator for quick purge and pressurization times. 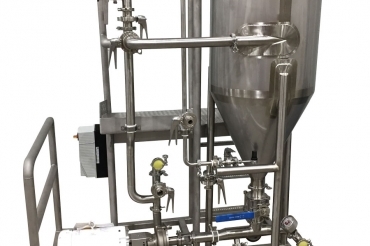 The fermenter is continuously circulated which creates differential pressure. Air is purged out of the hop chamber. 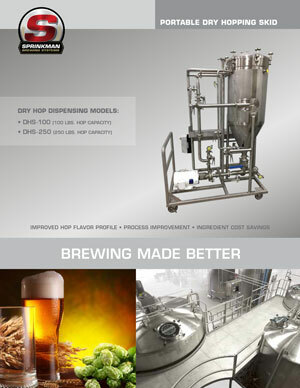 Induction occurs by balancing the hop chamber’s pressure. Beer always has positive pressure on it. The fermenter continues to recirculate.